The Europe-wide toolkit provides practical guidance, tips, good practice and tools to assist policy-makers and education and training providers in activities and policies. It is inspired by successful VET practices which help young people attain at least an upper secondary qualification. A new self-reflection tool for policy-makers and two evaluation plans (one for policy-makers and one for VET providers) can be used to monitor and evaluate the performance of policies and practices. 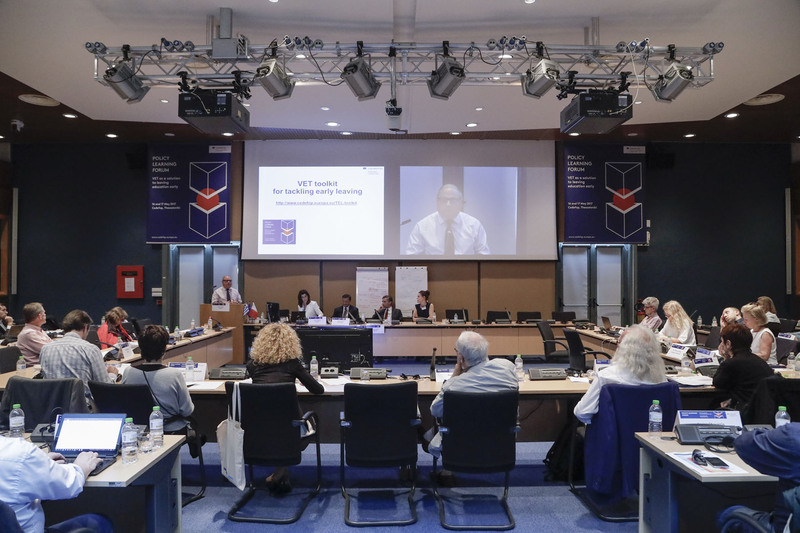 Participants from European Union countries, Russia, Turkey and international organisations, including the World Bank, OECD and WorldSkills, had the opportunity to test the tools at the forum and give feedback. Cedefop Head of Department for Learning and Employability Antonio Ranieri welcomed participants to the event. He stated that reducing early leaving is the most cost-effective way to reduce low skills.